Scheduling & Visit Times: Scheduling is on a first come first serve basis and we will do our best to accommodate your needs. However, if an unforeseen situation arises, the time may be adjusted. Visits will now be guaranteed within a 2 hour time frame. For example, morning visits will take place between 8am-10am, afternoon visits between 1pm-3pm, and evening visits between 7pm-9pm. • Service Confirmation: We will make a confirmation call, text or email no less than two (2) days before each sitting starts. (Please let us know your preference how to contact you.) Please make sure to respond to our service confirmation to ensure your pet’s needs are carried out as intended. • Payment: Payment is due before the first date of service when your request for services is confirmed by us. You can choose to mail a check (made out to TAT), cash or credit/debit card. There will also be an option to pay by PAYPAL on the website if you are comfortable doing so. If we do not receive payment, we reserve the right to cancel your reservation or provide minimal service (i.e., dogs to potty only). 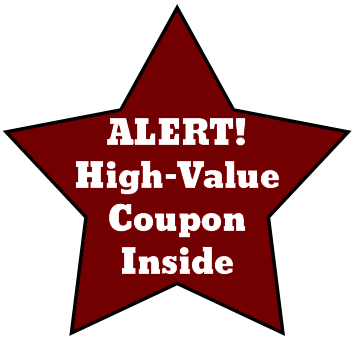 For a last minute reservation (less than 24 hours notice), we will add a $5.00 fee. Established clients may leave payment at their home. There is a $25 fee for any returned checks. • Key Copies: A set of two (2) working keys are required. a) Keys on File: Please consider letting us retain your house key. Keys are kept in a secured lock system and are coded for client confidentially. b) Pick up/Drop Off: Fee of $10 applies per trip. c) Leave at location: Sorry – no keys can be left outside for insurance/liability reasons. • Emergency Contact: We are requested the name and phone number of a person living nearby who has access to your home. This should be a person close enough to walk to your home if roads are impassable. If we are physically unable to get to your home this information is needed so that we can contact this person to request their assistance to check on your pet. In the event that the customer does not provide a nearby emergency contact with access to your home for us, customer realizes that we will provide service, but not until conditions allow us to reach your home safely. 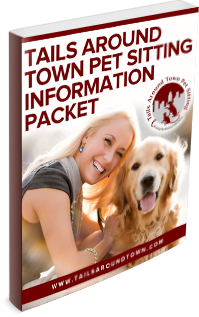 • Access to your Home by Others: If you allow any other person access to your home during Tails Around Town Pet Sitting’s contract period, we cannot be held liable for any damages to property or pets as a result. Please notify us if someone will be in your home. Please also notify the person in your home that we are coming so that your visitor is not surprised by our entrance. • Cancellation: We understand that your plans may change. Please understand that we must charge cancellation fees for cancellations without adequate notice. We do not overbook. Refunds are not given at any time; the remaining balance paid will be applied as a credit to your account for future services. If you are home during a scheduled visit and neglect or forget to cancel and we arrive at your home, no refund or credit will be given for that visit. • Pet Care: If a pet becomes ill while under the care of Tails Around Town Pet Sitting, Client authorizes Tails Around Town Pet Sitting to transport pet to Client’s veterinarian (or one who is available) if this is needed in his/her best judgment. Client authorizes and approves any emergency treatment recommended by the veterinarian and Client agrees to pay promptly for any charges incurred. Client releases Tails Around Town Pet Sitting from any and all liabilities related to transportation, treatment, and expenses. • Inclement Weather (Primarily severe storms, freezing rain, etc. ): We will use our best judgment while caring for your pet and home at the time of inclement weather. We will try to carry out your instructions to the best of our ability. The inclement weather plan will be as follows: 1. Every effort will be made to drive to your home; 2. The service schedule may be changed, interrupted, or altered due to circumstances; 3. If it is not possible to drive safely to your home, your emergency contact will be notified; 4. You will be notified that the above-mentioned contingency plan has been activated. • Medications / Vaccinations: We will attempt to administer medications as directed but cannot be held responsible for complications that arise as a result. Excessively shy cats with medical problems can be at serious risk. If you have such an animal, this must be thoroughly discussed. Under no circumstances will we service any pet that has any form of contagious illness. This is for the safety of our other customers. We require that all pets have the necessary vaccinations and immunizations before service begins. If a Tails Around Town Pet Sitting pet care provider is bitten or exposed to any disease or aliment received from your pet, which has not been properly or currently vaccinated, you will be responsible for all costs and damages that may incur. • Fences: Fenced in yards are wonderful play spaces for pets, however, no fence system is totally secure for your pet’s safety. We do not accept responsibility or liability for any pets that escape, are injured or become lost, fatal or otherwise, when pets are left out or given access to a fenced in area. • Pet and house/yard clean-up: We will properly dispose of pet waste in your outside waste receptacle, and will do our best to clean up any accidents your pet may have. We are not responsible for carpet/flooring stains created by your pet. We do request that you provide plastic bags, towels, cleaning products, paper towels, and trash bags and indicate where you would like the waste disposed. • Collars, ID Tags, Microchips, and Leashes: All dogs will be required to wear a collar with ID tags or be micro chipped. All dogs on outdoor walks will be on a leash unless specifically requested by you. • Animal Behavior: Animal behavior can be unpredictable. We do not accept responsibility for liability for animal behavior, normal or otherwise, which results in injury to your animal. Further, if a Tails Around Town Pet Sitting pet care provider is harmed or injured by your animal, you accept full responsibility for the cost of any necessary medical care expenses and damages that result from an animal bite. Bites must be reported to the local authorities as provided by law. • Unacceptable Pets: We have the right to refuse animals who appears to be aggressive, ill, or could cause harm to us or others. We also only provide minimal services to animals who have fleas/ticks to protect all of our clients. We do not have to provide reasoning for refusing to work with you or your animal. • Abandon Policy: If you abandon your animal in our care, we have the right to report your actions to the appropriate authority, give your animal up for adoption, etc. All expenses incurred during this time period the client will be held 100% liable for reimbursing Tails Around Town Pet Sitting. • Liability: Client expressly waives and relinquishes any and all claims against Tails Around Town Pet Sitting, except those proved to be arising from negligence on the part of Tails Around Town Pet Sitting. Tails Around Town Pet Sitting, company owner, agents, assigned successors, and heirs are not liable and are completely indemnified for any and all liability stemming from the act or failure to act of third parties, whether known or unknown, including but not limited to, friends, neighbors, relatives or service persons, that shall enter Client’s residence or property for any purpose while Tails Around Town Pet Sitting is caring for Client’s pet. It is expressly understood and agreed that Tails Around Town Pet Sitting shall not be held responsible for any damage to Client’s property, or that of others, caused by Client’s pets during the period in which the pets are in the care of Tails Around Town Pet Sitting.